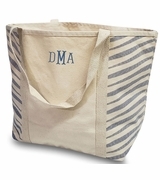 Striped canvas monogram duffle bag. Classic gray and white stripe weekender bag. Quality constructed for overnight stays, weekends with a friend or vacation. Designed for function, fashion and fun. Roomy and generous size for all necessities. This eye-catching design can be embroidered with your monogram for added style. Girls personalized large duffle bag 26"W x 14"H x 10" across bottom. Canvas material with lining and one interior zip pocket. Zipper closure. Over the shoulder removable and adjustable strap included. 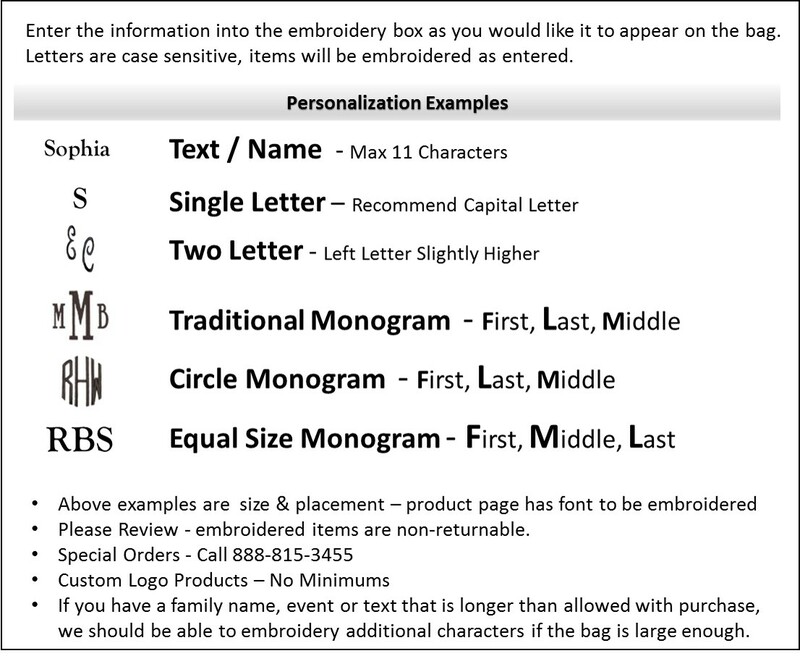 Traditional Monogram Sequence First Initial, Last Initial, Middle Initial enter into text box in that order.